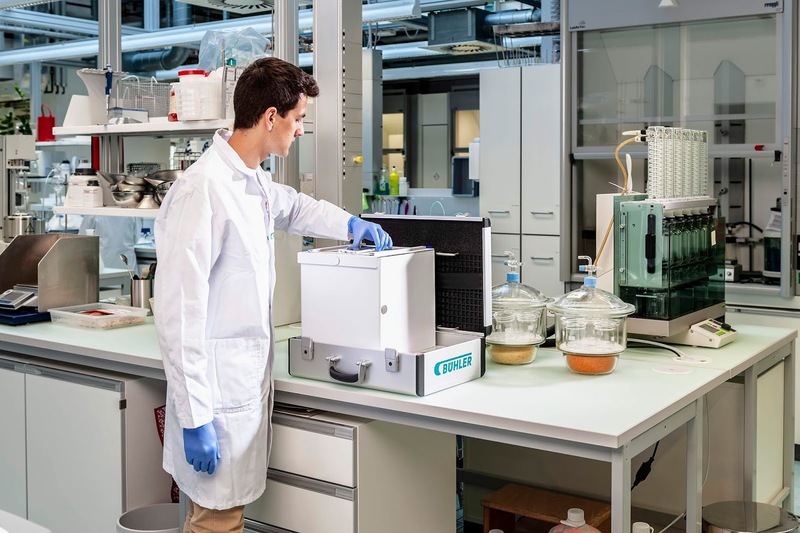 Bühler has committed to co-found the Future Food Initiative launched by ETH Zürich and EPFL, together with industrial partners Givaudan and Nestlé. The initiative aims to accelerate the development of healthy food products and more sustainable, plastic-free packaging. Its research lays the ground for secure access to affordable nutrition, addressing global challenges of hunger and malnutrition. The Swiss federal institutes of technology ETH Zürich and EPFL (Ecole polytechnique féderale de Lausanne) have launched Future Food – A Swiss Research Initiative ("Future Food Initiative") together with partners Givaudan, Nestlé and Bühler. "We are stepping up as an industry to address challenges in the food value chain," says Stefan Scheiber, CEO of the Bühler Group. "Bühler's ambition is to create innovative and sustainable solutions, partnering with leading research institutes, industrial partners, and promising start-ups in the world of food." In the same context, Bühler will officially open its CUBIC innovation campus in spring and will welcome innovation partners, customers, start-ups and academics to benefit from the new facilities. The Future Food Initiative is funded by a donation from the industrial partners with a total amount of 4.1 million Swiss francs. Its overarching goal is to further expand research and education in the area of food and nutrition sciences at the interface of universities and enterprises. Read the full article on the Milling and Grain website, HERE.